3 and a half years ago, a major natural disaster was something that happened in the news to someone else. Then one day, it happens to you. In the past 3 and a bit years, every resident in the city has become an expert on living through and surviving with earthquakes. We didn’t have just one earthquake. Since September 2010, we have had 13,983 of them. I confess I lost count somewhere along the way, I ran out of fingers and toes. On September 4, 2010, a 7.1 magnitutude quake struck at 4.35am, around 30km from the city. I’d felt small quakes before, but this one woke us before it hit, we heard it coming. The ground vibrations are audible, and it sounded like a freight train coming through the house. In pitch darkness, I could hear items in the kitchen smashing off the shelves. 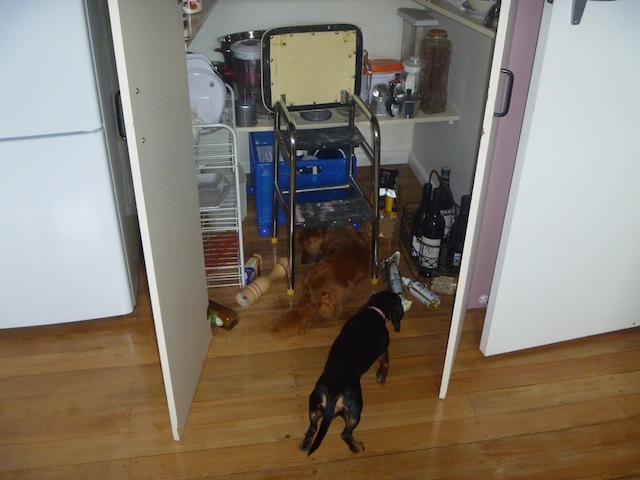 I yelled over the noise of the quake for my dogs to come to me. Thank goodness for two things, the first being I can yell loudly and secondly that they did as they were told. I remember in the aftermath of the initial quake, shaking so hard and finding tears rolling down my face. Surveying the damage by torchlight, as the power was out, showed the house looked like it had been trashed by robbers and the living room had water everywhere from the fish tank. Out in the street, neighbours were conversing and checking in on each other. I posted on Facebook that we were ok, as I knew it would hit international news fast. Earthquakes that big don’t happen every day. Phone lines were overloaded as people tried to seek assurances that loved ones were ok.
We went back to bed, to try to keep warm as it was below freezing outside. This is when I realised that an earthquake is not a single event. Aftershock after aftershock shook the house. After a couple more hours, daylight came and we decided there wasn’t much sleep to be had. We spent the day keeping busy, helping family get their homes back in order, clearing up the broken items and reassuring each other, all the while as aftershocks kept coming. In those early days, not much sleep was had. Constantly being awaken by aftershocks, some of them huge in their own right, didn’t give much room for a rested nights sleep. I found an article on earthquake safely that said if one hits while you are in bed, curl up in a ball and put the head under your pillow. So for weeks, I slept with earplugs in to block the noise, with my pillow over my head. 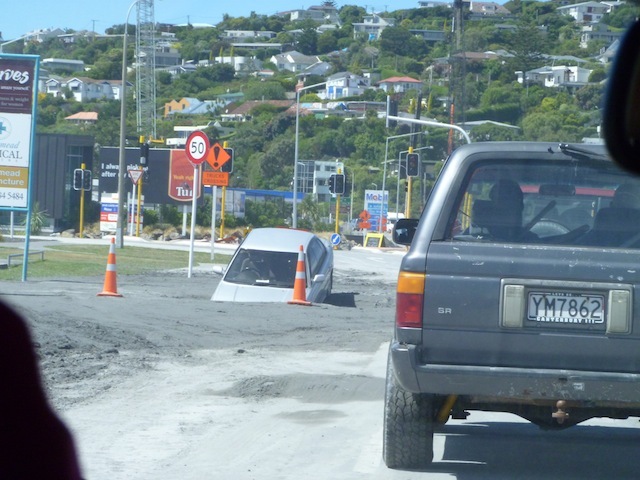 Nearly 6 months later on 22 February 2011 a huge aftershock hit at lunchtime. 185 people this time were killed. Although not as strong as the quake in the previous September, only 6.3 magnitude, this aftershock was much closer to the city. Buildings in the city collapsed, while people were at work in them. 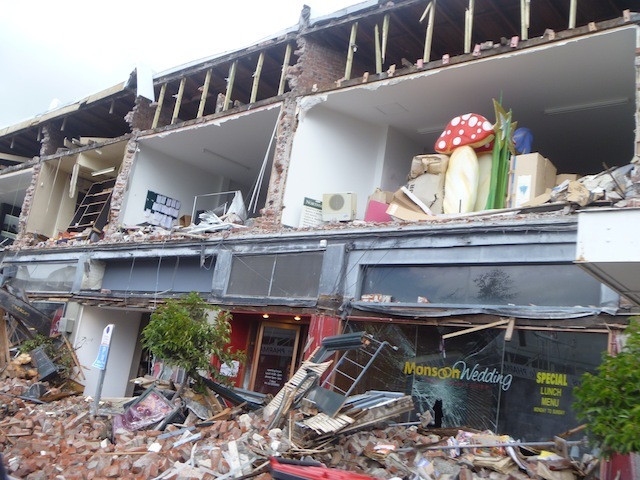 Stairwells collapsed in high rise buildings, awnings collapsed onto busy lunchtime streets, bricks and rubble came tumbling down onto those going about their business. 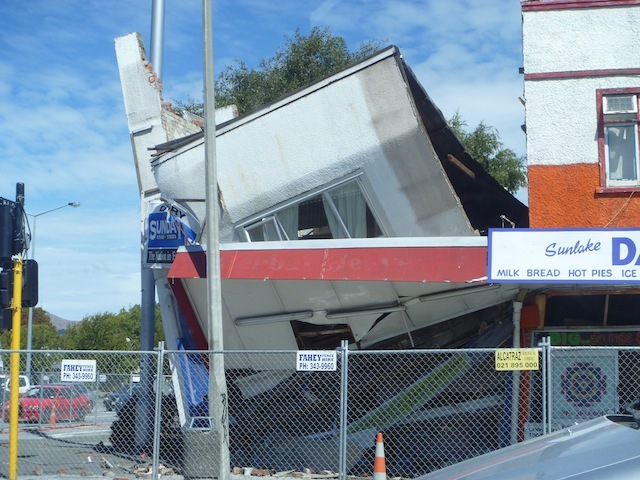 This quake caused not only massive loss of life, it destroyed Christchurch city. Now when I occassionally have the opportunity to venture into what was the city centre, I just get a sick feeling in the pit of my stomach. As a child, I had a recurring nightmare of coming home from school and not being able to find my home because it had shifted. Traveling through the city now, feels like this. Familiar buildings and markers, things you used to identify where you are, are no longer there. Entire blocks are now completely devoid of buildings. Only now slowly are new buildings popping up, but its not the same city. It will never be the same city, we have lost what we had and we have to move forward. While the new vision for the city has me excited, I don’t think its going to be anywhere near what it was for another 20 years. Right now, however, for a visitor, its a unique and probably fascinating place to visit. For us that live here, at times its frustrating. Infrastructure is beng repaired, roadworks are constant, traffic flows have changed so commuting is now a chore. For those still awaiting their earthquake repairs or waiting for a pay out for their land, its difficult to move on. On the bright side, most of us probably know our neighbours better than we did previously. So many did so much to help others. From working bees to clean up liquefaction silt, to helping people move out of their homes with all their belongings because their homes were destroyed. This city is full of heroes. They are the people in the community who helped friends and strangers when they needed it. The international urban rescue teams and their dogs from other countries that came immediately. Those that sent care packages and kind words from all over the world. 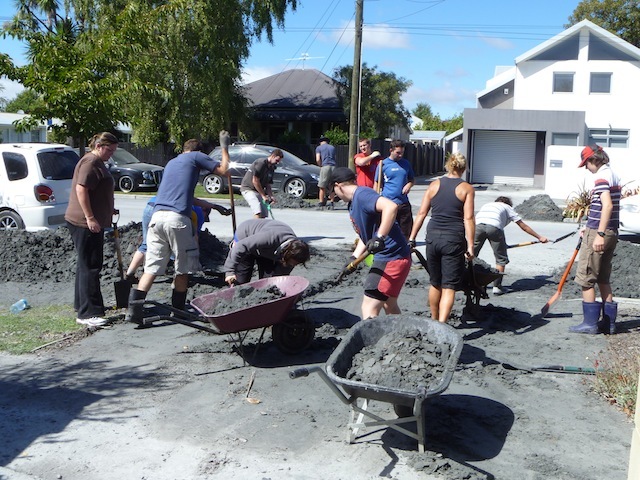 Christchurch will rebuild, but a city is built around the people, not the bricks and mortar. From what I have seen of the people in this trying time, we are in pretty good shape. It was a very scary and trying time and my heart goes out to those who lost their homes, business or loved ones. 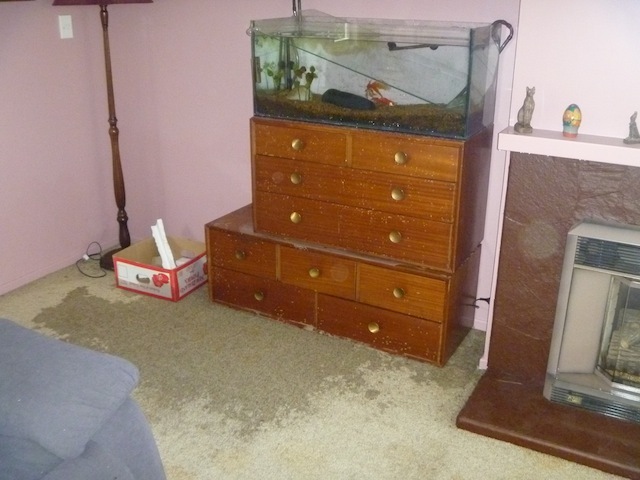 Thanks for reading and I hope your family have some better times ahead with the rebuild. Christchurch is my husband’s hometown and alot of his family still there. This has been a terrible time for all of those who live there. We now live in Seddon so had our own last year, months of them and it’s utterly awful but nowhere near the destruction of Chch, no loss of life. We had planned for disaster but odd things threw us – people never think it will happen to them and it so does! It has been devastating to so many, both in terms of loss of life, income, homes and also just in terms of feeling safe. My heart goes out to you also, with all that happened in Christchurch, it must have been very scary as you would know what it could have been like. Thanks for reading and commenting. Stay safe!